Never thought curcumin could taste so great! 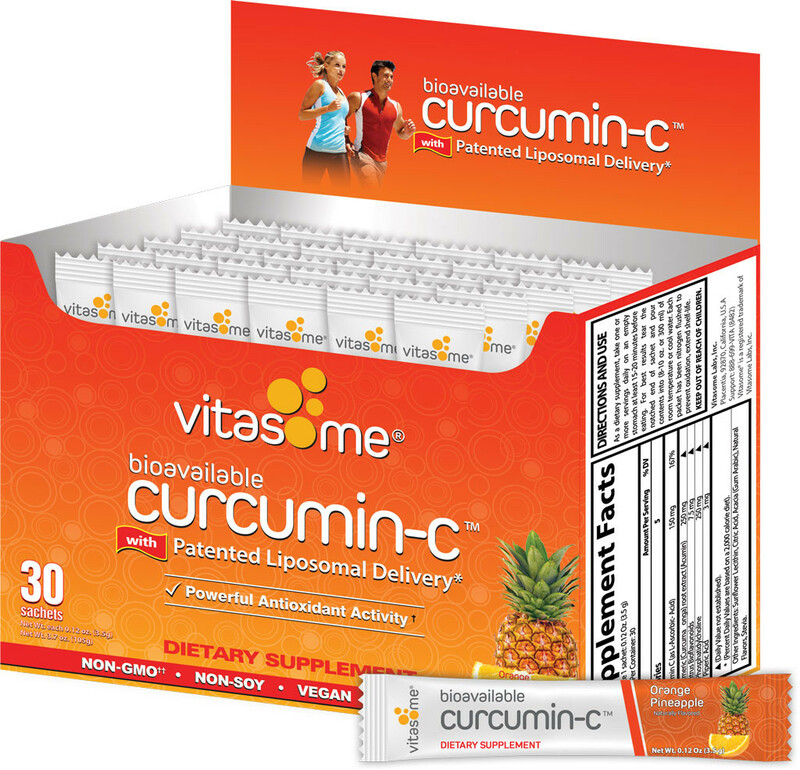 The orange/pineapple flavor of Vitasome Curcumin-C makes taking supplements like enjoying a refreshing beverage. I am not only getting a dose of the anti-flammatory power from Curcumin-C with the benefits of liposomes, but it also tastes delicious!! After taking the product for a month, my minor aches and pains in my finger joints disappeared! Amazing!! Curcumin-C has replaced my generic turmeric daily vitamin capsule. 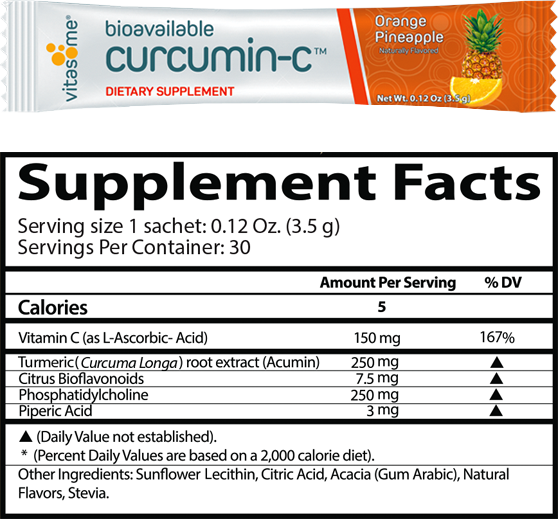 I can feel the benefits of taking Curcumin-C over the regular vitamins I got from the store, and the flavor tastes way better! Curcumin-C has also become my substitute drink if I have an urge to drink a soda or other sugary drink. I’ve actually lost a few pounds from eliminating the soda and energy drinks, and now I’m having to tighten up my belt a bit. 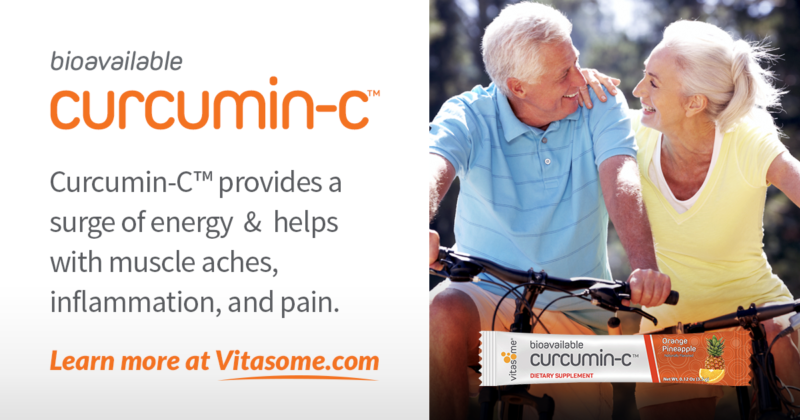 Overall, Curcumin-C is a great tasting product that works well — especially if you are living an active lifestyle. 5 out of 5 This is a breakthrough supplement for me! 5 out of 5 It Blew Me Away! Since my injury, Vitasome has been a huge part of my recovery and has allowed me to be able to get back in the gym and do what I love to do! In a short amount of time I went from not being able to stand up right for more than 30 minutes to being pain free. Took this stuff, which by the way tastes great, for 2-3 weeks. Though I was skeptical since nothing else seemed to work, this stuff blew me away! I would highly recommend their Curcumin-C if you have any kind of pain. Most pain as I understand is due to inflammation and this stuff knocks all that out of your body and allows you to function. Give it a try!! 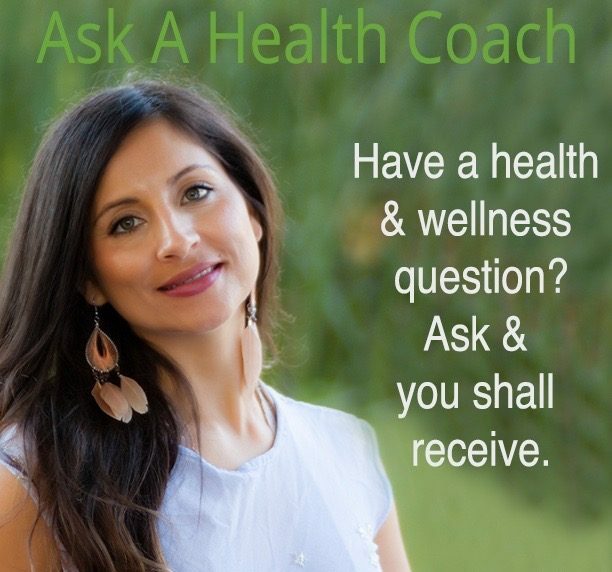 Before my husband and I started taking Curcumin-C, we used to take Advil all the time due to our strenuous workout regime. We are in our 50’s and like to keep ourselves healthy. But, with age comes more aches and pains, especially in the lower back areas. Both of us stopped taking Advil the first day of taking Curcumin-C. 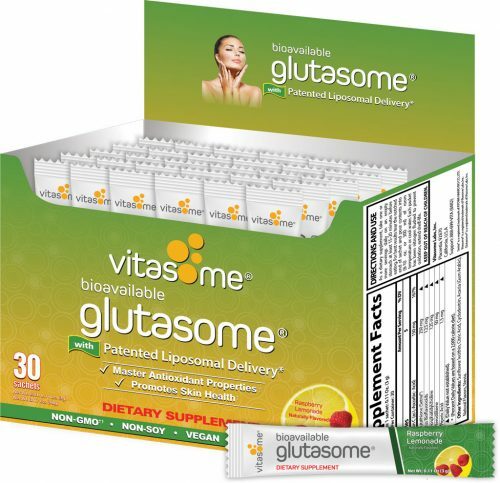 Please, Vitasome, hurry and get more in stock – we love taking your product.